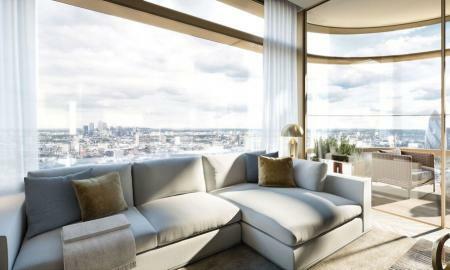 A luxurious 38th floor, 3 bedroom apartment, completion expected early next year. 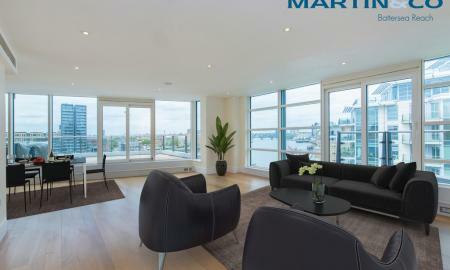 With magnificent panoramic views facing North, West & South overlooking the stunning London City. Internally offering an amazing open planned kitchen, dining and living space. Benefits from a swimming pool, gymnasium and spa, cinema room & 24h concierge. *BLOCK OF APARTMENTS* A rare opportunity has arisen to purchase off-plan, an apartment block consisting of 17 apartments (8 x 1 bed & 9 x 2 bed). 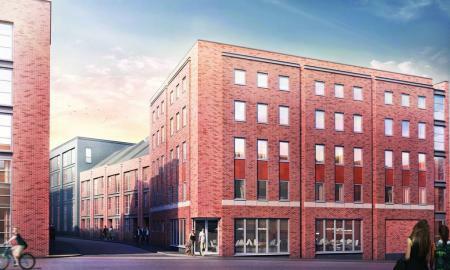 The Carver House development is part of the St Georges Urban Village scheme located in the vibrant Jewellery Quarter. 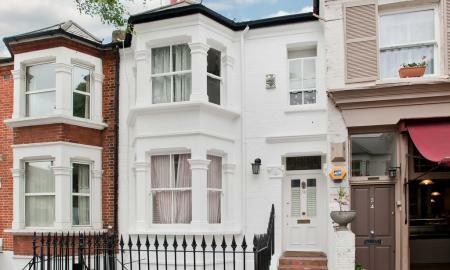 Exquisitely refurbished 3 bedroom house in Chelsea, SW10. Substantial Detached Gated Family Home Backing On To The Private Duncombe Hill. Bespoke 1990s Build By the Current Owner. Offers Over 400 Square Meters Internally. Access Via Electric Gates To Car Parking And Substantial Basement and Wine Cellar. Raised Ground Floor Living Accommodation Includes Dining Room, Living Room, Kitchen, Study and Conservatory, WC and Utility Room. Conservatory Offers Access to the Garden Which In Turn Leads To The Private 5 Acre Duncombe Hill A Private Park With Tennis Court Accessed Through Select Properties Backing On To the Park. First Floor Comprising of 4 Bedrooms Including Master With En Suite and Family Bathroom. Second Floor Includes Two Further Bedrooms, A Bathroom and Storage. A Unique Property Built To The Current Owners Tastes Offering Wonderful Space And Opportunity in This Desirable Location. Annual £160 Charge Towards Upkeep Of Parklands and Tennis Court. INVESTMENT OPPORTUNITY! Permission to build another apartment on roof terrace. 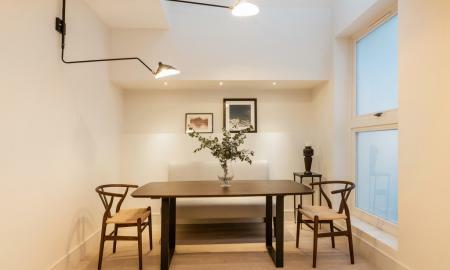 A delightful penthouse with its own 400sqft roof terrace. 5-minute walk from old street station and shoreditch station. Offering spectacular views overseeing the City of London. The apartment comprises of a large open plan kitchen/diner and lounge, two double bedrooms, two bathrooms with one en-suite, balcony from bedrooms and lounge. Right in the center of the exciting shoreditch life-style. 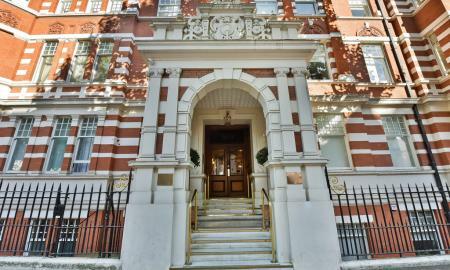 Superbly presented 2 double bedroom apartment less than 200 metres from Sloane Square. 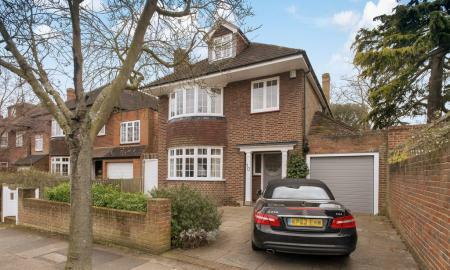 The property is within a few hundred yards of Sheen Gate to Richmond Park and Palewell Common. The main shopping centre is approximately half a mile away, Mortlake Railway Station providing a service to Clapham Junction and Waterloo. 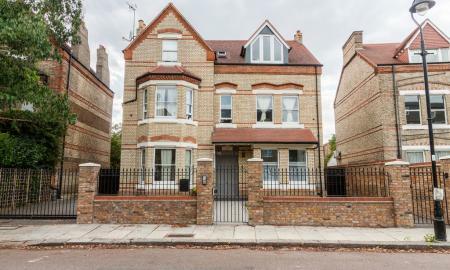 There are many excellent schools in the general vicinity including Sheen Mount Primary School, St Paul's, Tower House, Ibstock Place School and The German and Swedish Schools. 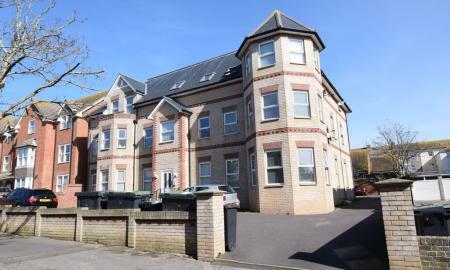 Well presented modern development boasting SIX three bedroom apartments and TWO three bedroom town houses. Each property benefits from gas central heating, double glazing and an allocated parking space. Each property is currently let on an Assured Shorthold Tenancy, offering a good rental income. Viewings are highly recommended. No forward chain. Fantastic investment opportunity. Call us now to find out more or arrange a viewing. 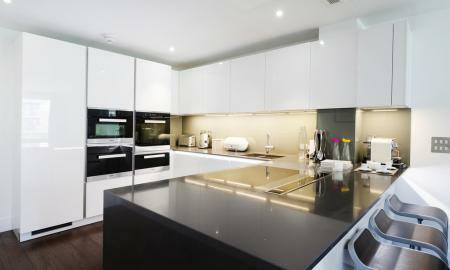 Newly built, high specification, 3 bedroom Triplex in Chelsea, SW10. A slice of country in the city! 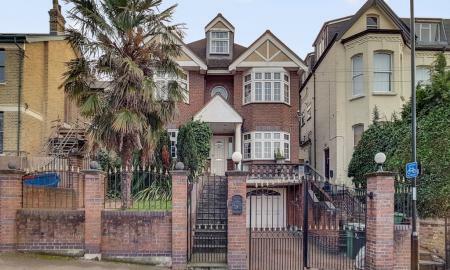 - Martin & Co Streatham are delighted to present this stunning four bedroom detached house set in over half an acre of private land (4,000 sq ft) overlooking Streatham Common. 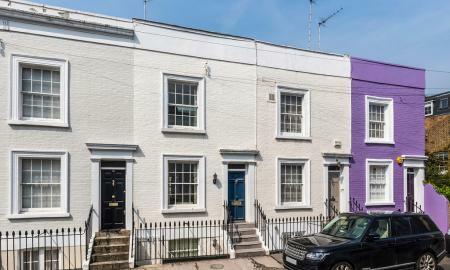 This stunning plot has three separate buildings spread across it; the delightful family house, summer house split over two floors and an annex, totalling over 4,000 sq ft of internal living space alone. The property offers not only a tranquil private family home estate but also the remarkable prospects of development into a number of separate dwellings (STPP). VIEWINGS UPON REQUEST FOR OUR OPEN DAY ON 8TH DECEMBER. APPOINTMENT BOOKINGS ONLY! CALL TO REGISTER YOUR INTEREST. 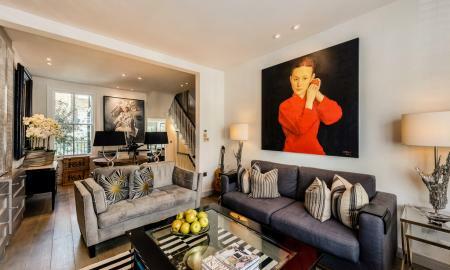 Awe-inspiring three bedroom apartment for sale in the Battersea Reach development, with a grand terrace, panoramic river views, underground parking & superb on-site facilities. Superbly presented 4 bedroom split level apartment with secure parking. 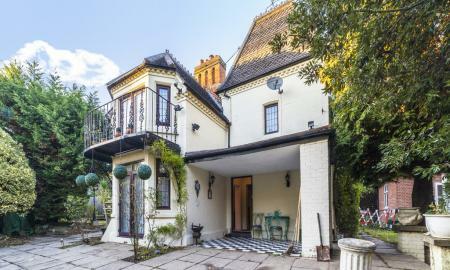 Freehold 6 bedroom house, currently arranged as two flats, in Chelsea, SW10. 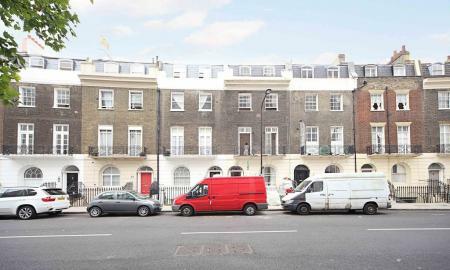 Sublime and magnificent duplex penthouse apartment located in the much sough-after development, Dickens Yard. Luxury open plan kitchen with spacious living area that goes out onto the large wrap around balcony, looking over the stunning skyline of London. Consisting of two stylish double bedrooms and two toilets, one of which is en-suite. Stunning private, panoramic roof top terrace, affording far reaching treetop views, an ideal place to unwind and enjoy alfresco dining. Further benefits include, 24-hour concierge, outstanding security, residents swimming pool, sauna, steam room, gym and spa. 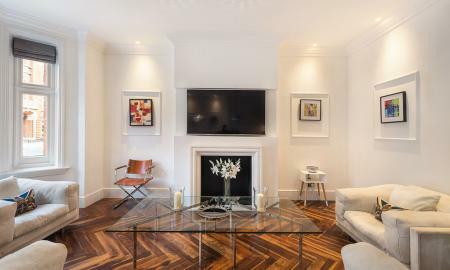 Located in the heart of Ealing Broadway offering effortless transport links (Central Line services, District Line services, mainline services and the upcoming Crossrail services. The property is being sold chain free and would be ideal as a home or as an investment. 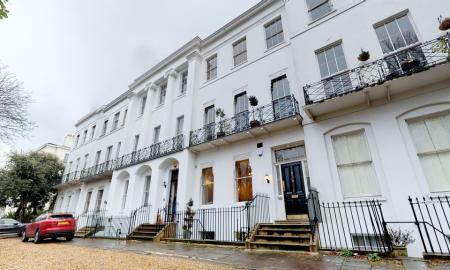 This outstanding six bedroom grade II listed regency terraced townhouse offers beautifully presented flexible accommodation that has undergone significant detailed improvement and extension with many classic features plus stylish contemporary kitchens, bath/shower rooms & cloakrooms. RURAL CHARM - A beautiful converted farm building set in approximately 3.5 acres of grounds, having been designed to exacting standards and offering over 3,400 sq ft of accommodation. 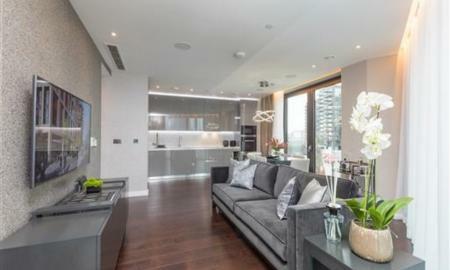 A luxurious 3 bedroom, 3 bathroom spacious apartment on the 15th floor of The Residence, Nine Elms. This hi-spec apartment comprises of a large open plan kitchen/diner, large balcony, two en-suites and ample storage space. This enormous 1161sq ft apartment has high ceilings allowing a lot of natural light to flooding in. 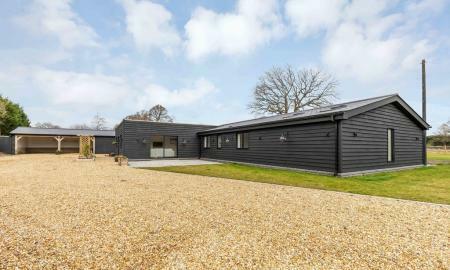 The property has stunning views over the North East of London with jaw-dropping scenery. 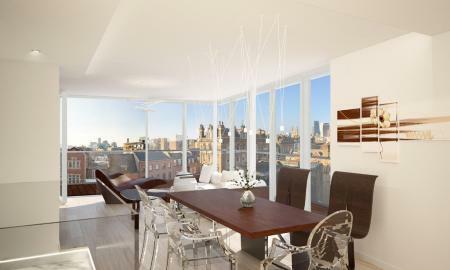 Residents can take advantage of the private communal garden, gym, 24 hours concierge and private cinema. With a Battersea Park, bars and restaurants a few minutes away it´s a great location to be in London. 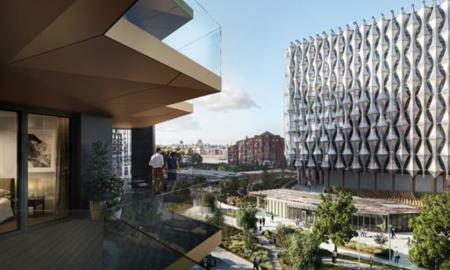 Nine Elms Station is also due to completed in 2020, part of London´s Zone 1. 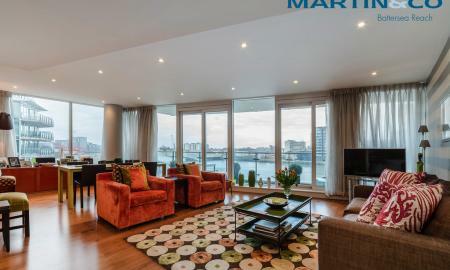 Extraordinary river-fronting three bedroom apartment for sale in Battersea Reach, with a stunning terrace, panoramic Thames views, luxurious interior design & secure underground parking.